Bonney Forge, founded in 1876, initially forged and finished hardware for horse drawn wagons. The company's product line, all requiring metal working and machining, evolved during the first half of the 20th century. The products included hand tools, military hardware and commercial forgings. In the second half of the century the company entered the fittings and valve markets with the introduction of the Olet® fitting line. Subsequently complementary products were added including forged steel fittings, forged steel valves and more recently cast steel valves. The company was privately owned until 1967, when it was sold to Gulf & Western Industries. 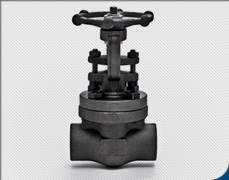 Under Gulf & Western, Bonney continued to produce valves and fittings at plants located in the USA and Italy. 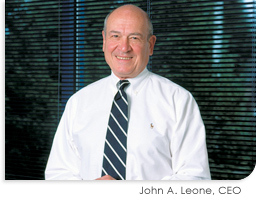 Bonney Forge remained a Gulf & Western company until 1984 when John Leone led a successful leverage buyout from Gulf & Western. Since that time, Bonney Forge has remained a private, closely held family owned company. For more than a century, Bonney Forge has achieved manufacturing excellence through the detailed attention to customer's needs and producing consistently superior flow control products. Today, the Bonney Forge name is synonymous with quality that exceeds all industry standards.